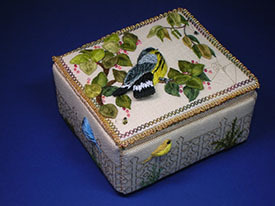 Marsha Papay Gomola specializes in raised embroidery that emphasizes the use of silk shading to create realistic contemporary designs. She couples this style with various counted techniques and unique finishing that creates fabulous designs. 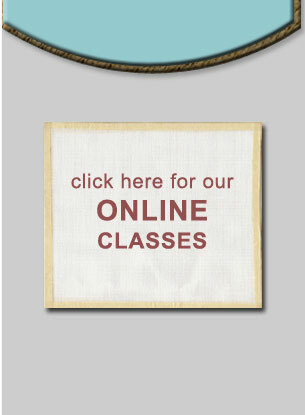 Within this web site you will find a sampling of her original embroidery designs and a schedule of her upcoming teaching events. 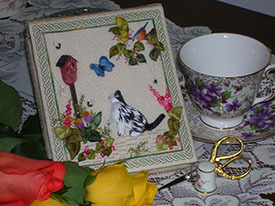 If you are tempted to try the technique then check out the embroidery kits, and books that are for sale. If you have questions feel free to email Marsha. She will be happy to hear from you.